If you are looking for an amazing luxury neighborhood in South Charlotte, look no further than Royden. Royden is located just south of the intersection of Colony Road and Carmel Road close to Colony Middle School. SouthPark is just a few minutes away with great spots for dining, shopping, and entertainment, not to mention major employers. 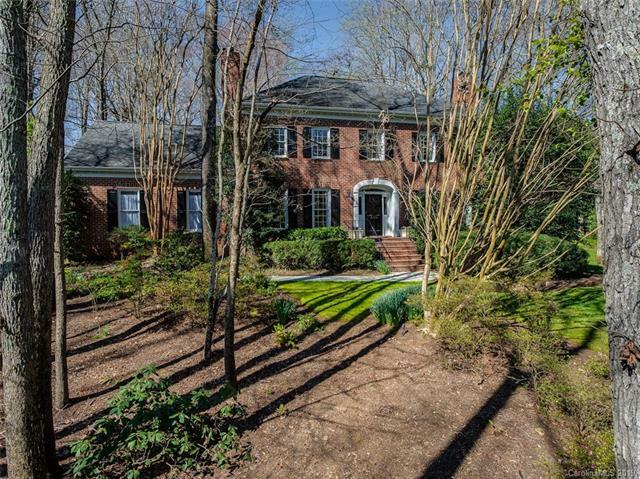 Proximity to Uptown Charlotte and Charlotte Douglas International Airport make Royden desirable as well. Homes in Royden were built between 1986 and 1995 and they are truly grand in scale. A small home in Royden is over 3,000 square feet, and the average size of a home is over 5,000 square feet. Some of these homes include luxury features such as salt water pools, wine cellars, guest houses and much more. In the last year, homes in Royden sold for between $1.26 million and $1.335 million. Current zoning has children in Royden attending Beverly Woods Elementary School, Carmel Middle School, and South Mecklenburg High School. Please verify school assignments as they can change from one school year to the next. There are also many private, charter, and magnet school options nearby.